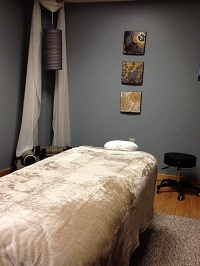 Powerful relief and healing through the natural art of massage. At Essential Balance Massage Therapy you will find a caring, knowledgeable practitioner who will listen to your needs and tailor your services accordingly. 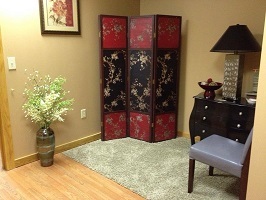 We offer numerous treatment options for relaxation, pain relief for chronic conditions, injury rehabilitation, pregnancy massage, onsite chair massage, spa treatments and so much more. 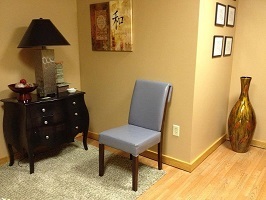 We work carefully with each client to create the treatment that suits his or her individual needs the best. 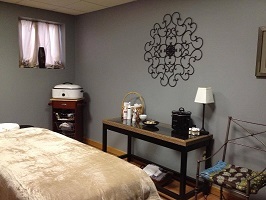 We specialize in pregnancy massage! We also specialize in working with caregivers of individuals living with disabilities! Contact us today to find out how we can help you! Hours Monday thru Saturday by appointment only. WE OFFER GIFT CERTIFICATES ONLINE! JUST CLICK ON "PURCHASE GIFT CERTIFICATES" ON THE LEFT SIDE OF THE SCREEN. It's never been easier to give the gift of massage...for yourself or someone else. Investing in massage is an investment in your health. Massage therapy can help to restore and maintain your body's natural, optimal state of well-being. In today's difficult economic environment, it's tempting to view receiving massage as a luxury. However, the reality is that it can be a powerful tool for preventing health problems. Truly, massage is a vital part of self-care that has a positive ripple effect on us as we work, play, and care for others. Massage plays a role in reducing stress and strengthening the health. With greater health and peace of mind, it becomes more possible to face daily challenges with poise, clarity of purpose, and strengthened emotional reserves. You can find further information on our Benefits of Massage page, and also at www.massagetherapy.com. We love the art of massage, and as a client, you'll find that this comes across our work with you. Feel free to call or email at any time with any questions you may have! © Copyright 2019 Essential Balance Massage Therapy & Wellness. All rights reserved.